There was no immediate reaction from the Israeli government. Officials said they were studying Mr. Abbas’s speech. Khalil Shikaki, a leading Palestinian political analyst, said Mr. Abbas’s declaration was “a big deal, no doubt” but would mean “absolutely nothing” on the ground “until he starts taking the steps he mentioned” to curtail security, economic, and civil coordination between Israel and the Palestinian Authority. 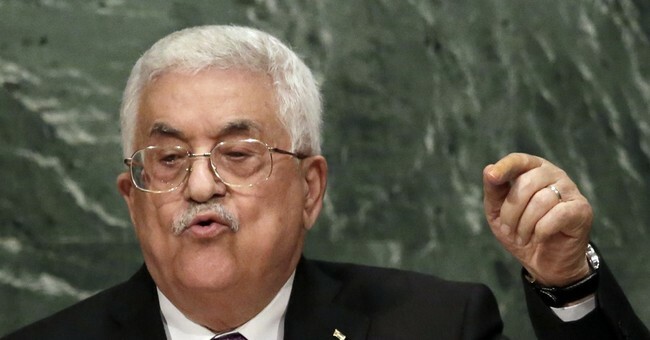 He said Mr. Abbas would be under tremendous pressure from Palestinians to cut these ties but would probably take weeks or months to follow through. For months, Israeli Prime Minister Benjamin Netanyahu has walked a waffled line on Palestinian statehood. Before the Israeli elections, Netanyahu said that no such state would exist during his tenure as prime minister, as it would only bring Israel’s enemies closer to their borders. He would go on to win that election. In late May, a few weeks after he formed a conservative coalition government, Netanyahu seems to have reversed course, saying he’s committed to a two-state solution. “I remain committed to the idea that the only way we can achieve a lasting peace is through the concept of two states for two peoples -- a demilitarized Palestinian state that recognizes the Jewish nation state of Israel,” he said. Nevertheless, the prospects for such a diplomatic solution looks grim, as they’ve seemingly always have, in this volatile and hostile region of the world. .